Are you planning to ink on your body? 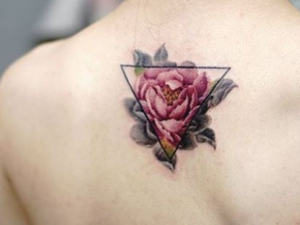 If you are concerned how to find best tattoo shop in Delhi, we are a tattoo studio situated in the Delhi-NCR region Surajmal Vihar, Just 10 minutes walking distance from karkardooma metro station East Delhi. Tattoosphere is well known tattoo shop in Delhi. Tattoosphere is the best tattoo & Piecing studio. Right from the permanent tattoos to that of the temporary tattoos, we aim at catering you with the services you require. We have a list of skilled male & female tattoo artists as well. So, if girls feel a little uncomfortable about getting tattooed, we can help you with that. We always maintain world class hygiene and Safety during tattooing at our tattoo shop -Tattoosphere. Our specialty is, we also educated our customer how to care after get inked on your body. We thanks our customer who rate us 4.5* out of 5* at our on social media account on Facebook. Our customer also rated us 4.5* for tattooing quality, safety, hygiene level which is on our 1st priority at our tattoo shop-Tattoosphere is the best tattoo shop in Delhi. What is the permanent tattoo price? 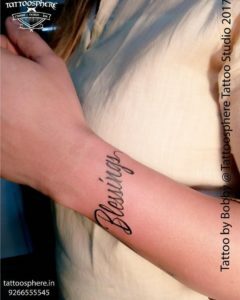 The permanent tattoo price at our tattoo shop (studio) completely depends on the type and size of the tattoo you want. The price usually increases with the increase in the size of the tattoo. One thing that you should keep in mind about tattoos, is that you should always choose a design that well depicts your persona. A tattoo etched on your body or on any specific part of your body has a lot to say about your personality which is why you should choose very wisely. The tattoos on our body act as the gateway for the people into our beliefs. While most of the people these days are getting tattooed for fashionable purposes, you should be aware that some get tattooed to reflect their beliefs too. Your tattoo talks of the spiritual and traditional beliefs. Today young generation, hunks, boys & girls models, body builders, girls and women who wants express their feelings they are looking best tattoo Artist in Delhi NCR, as well as best tattoo artist, if still you’re finding the best tattoo shop and best tattoo artist, call us once Tattoosphere. From the ancient times, the tattoo culture has been quite prevalent. If we go down the history, we would find that a number of ancient civilizations had the concept of tattoo in their culture. Thus, this practice isn’t something new. It is being practiced since the time of our ancestors, so getting tattooed isn’t something wrong. One of the prominent thing that your tattoo tells about your is that you’re quite an extroverted person, who is free to express their beliefs. You fill up the people around you with energy. Your tattoo is a symbol of your uniqueness. You aren’t someone who gets lost in the crowd of people. You stand within them but not with them. You are a strong individual with your unique persona. Tattoos are all about how you express yourself. Sometimes, it may happen that people will judge you because of your tattoos. You need not worry about what the world has got to say about you. You need to be focused to what you are becoming. Another significant thing that the tattoos on your body depict is that you are an individual who seeks experience and adventures. You do not conform to the norms of the society. In fact, you’re a strong individual who goes out on a journey to seek experience from the adventure that he commits. Thus, no matter for what aim you are wanting to get tattooed, our tattoo artists help you achieve that. If you are concerned about what kind of tattoos you want to have, we can provide you with a range of ideas at our Tattoosphere tattoo shop in Delhi You can contact us and reach out. We’ll be happy to cater you. If you are a female you’re not comfortable with male tattoo artist then don’t worry we have well trained, expert, experienced female tattoo artist too.